God’s Work Our Hands Sunday! Thank you to everyone who participated in “God’s Work Our Hand’s Sunday”! It was a wonderful day filled with God’s people working all throughout our community. If you participated in this day we give thanks for your service. We were blessed to have over 170 participants worshiping God with service. That service was different for everyone. Some painted fences, a garage, athletic facilities at the school; some picked weeds, washed windows, worked at the community garden, rolled bandages, laying mulch and cleaned road ditches just to name a few. We have heard nothing but positive feedback from those who participated and also from community members! 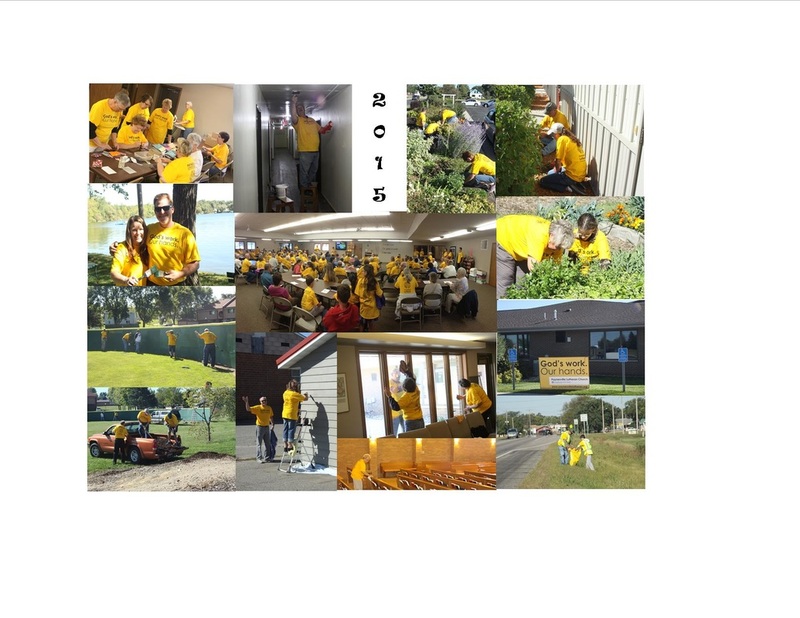 “What is with all the yellow shirts?” was a common question. The responses varied but they always point toward the work of Christ! God is good and thank you to this faith community for sharing a small glimpse of God’s goodness with our community!